Hello, all! I must admit that this morning I'm feeling a little jealous. Most of my fellow Stampin' Up Demonstrators are heading off to Utah for the annual SU convention, and I won't be joining them. I'd already decided earlier in the year that I wouldn't be able to go because of all the unexpected travel I'd had. Now I know it truly wasn't meant to be because of Hubby's bypass surgery last week. Still, I wish I was there. 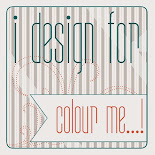 I hope all my bloggy friends will keep me company this week and leave a comment! 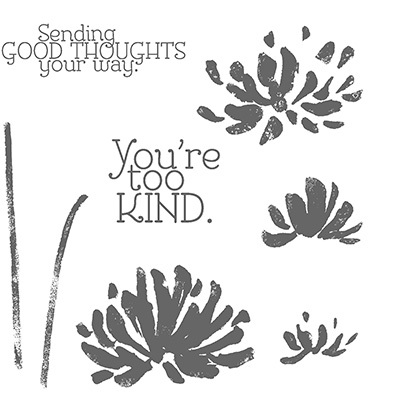 Featured today is a clean and simple card using the Too Kind Stamp Set. I think this is one of the best two-step sets SU has come up with in a while. The simple images are so easy to layer, and are so pretty. 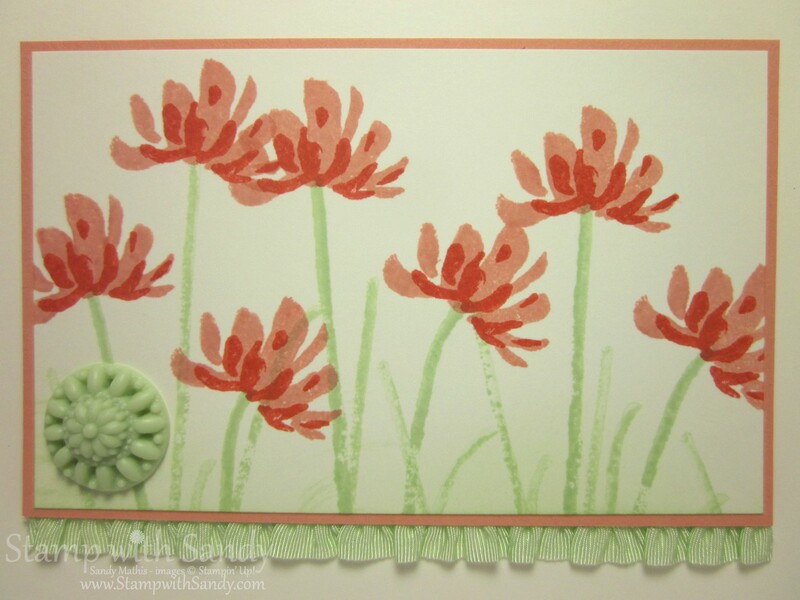 This card was inspired by one made by my fellow Demonstrator, Connie, as well as two challenges. The colors are from the Create with Connie and Mary challenge. Love them! This year's new In Colors are the best ever! The great simple layout is from Sketch Frenzy Friday. What a perfect pair! Step one of the two step blossom was stamped in Crisp Cantaloupe. Step two was stamped in Calypso Coral using my Stamp-A-Ma-Jig for perfect placement. The Stems and accessories are Pistachio Pudding, yum! Life with coordinating accessories is so easy! Thanks for stopping by today and have an awesome day! This is gorgeous! Love the ribbon and the boutique detail! Such a simple card with lots of WOW! Love it! 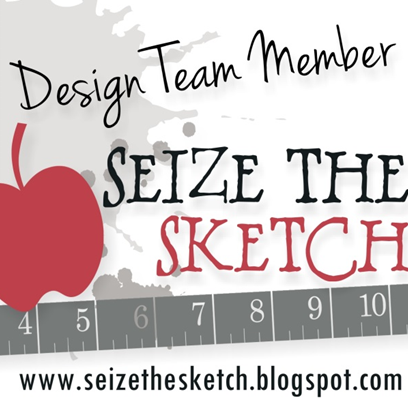 Thanks for playing the challenge at Create with Connie and Mary and for joining us at Sketch Frenzy Friday! 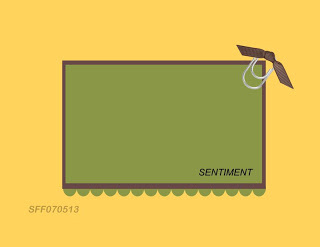 Your ribbon detail is very cute and the layout so pretty. I love the simplicity of this. And the colors work beautifully. Thanks for joining us this week at Create with Connie and Mary. You're right... these colors are perfect with this stamp set and two-step stamping technique! Love how you've accessorized your design! 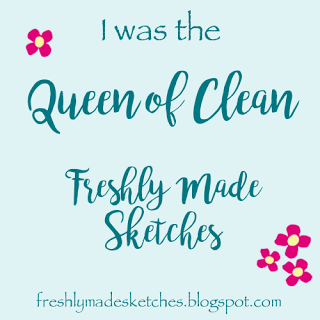 Thanks for joining us for this Create with Connie and Mary challenge! Sandy, what a great way to showcase the challenge colors. I love this stamp set and this is a lovely sample. I love the ruffled trim and the little button in Pistachio. Thanks for playing the Create with Connie & Mary color challenge! Oh so simple and just so darn HAPPY!!! What a gorgeous CAS card! Thanks for playing along this week in the Create with Connie and Mary Thursday Challenge! Ah...glad you were inspired by my card! Missed seeing you at Convention! Love the ribbon along the bottom and the In Color button you added! 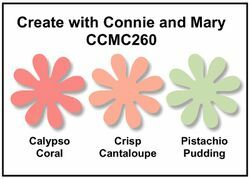 Thanks for playing along with the combination challenge this time on Create with Connie and Mary!